Morning Campers er um Crafters!!! It is 6am and I shouldn’t be up this early but Laurenz climbed into bed about half and hour ago so I figured I’d make good use of my “free” time this morning and post my design for our Sketch Challenge over at JAI this week. 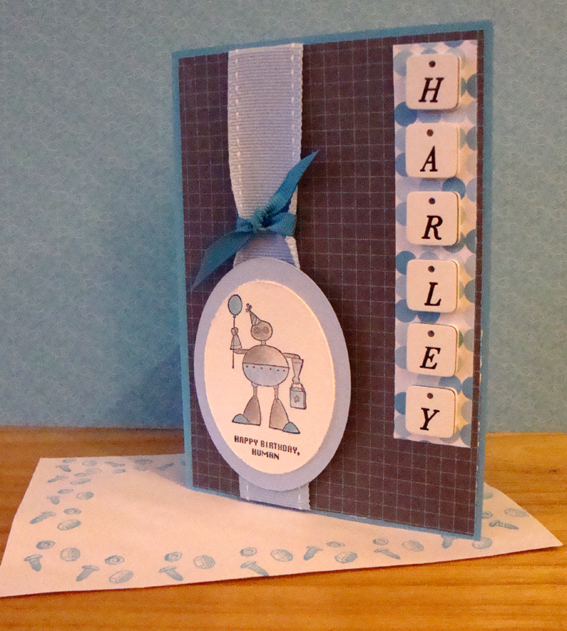 Stampin Ink – Tempting Turquoise (on envelope), Pastels and Blender Pens to colour my wee robot friend!